Price: ₹ 58.98 Lac Price: ₹ 4699.6 /Sq. ft.
SIKKA KARNAM GREEN IN NOIDA SECTOR - 143 B After the grand success of Sikka Karmic Greens, Sikka’s next milestone is “Sikka Karnam Greens”. A place where you can find the perfect balance between family, recreation, fitness & happiness. 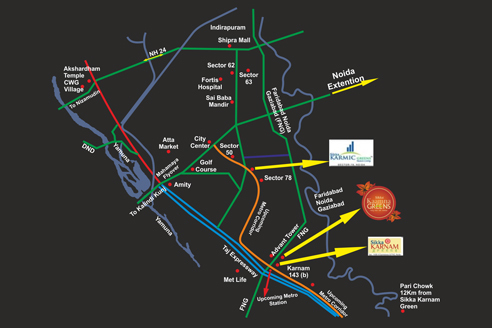 It is situated in the heart of Noida sector 143(B). Sikka Karnam Greens is a residential group housing project which will be built on 3 side open plot, it also faces Faridabad Noida Ghaziabad(FNG) Expressway and Wi-Fi Taj Expressway. The architecture has been designed and developed by renowned “Arch 10 Design Consultants” and Landscape developed by internationally famous LOLLY M (Austin, Texas – U.S.A). The architecture and Landscape would be one of the best kind in vicinity. “Karnam Greens” is an attempt to redefine exuberance. It is a project that fulfils all the aspirations and matches up to all the expectations with regard to the location, standard of construction, design, ethics, product quality and the best of the amenities and facilities. 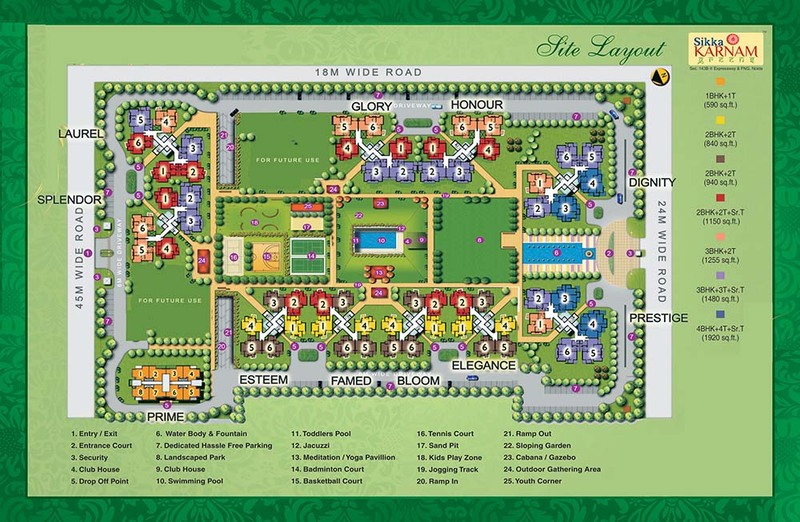 Sikka Karnam Greens offers from 4 BHK to 1 BHK (studio apartment) units ranging from 1920 sq.ft. area and has been crafted for efficient use of space. It goes without saying that Sikka Karnam Greens would feature a bunch of amazing amenities such as kid’s play area and entertainment zone, kid’s pool, gymnasium, yoga and meditation centre, convenient shopping, 24 hr. ATMs, walking track and jogging track, boom barriers, CCTV’s for common areas, multi-level 24x7 security, 24x7 power back-up and water supply, earthquake resistant structure zone IV complaint, ample parking space etc.